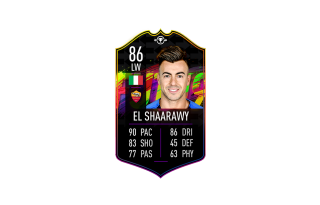 First introduced during the FIFA 18 Ultimate Team season, FUT Swap Deals is back for FUT 19. And this year, Swap Deals will come back throughout the season to provide more opportunities to upgrade your FUT squad. You get to pick how you want to build your squad through Swap Deals, and you'll get plenty of chances to do it over the course of the season. Swap Deals Player items can be earned for a limited time through a variety of ways, including but not limited to Squad Building Challenges, Objectives, and Squad Battles. Swap Deals Player items have the same ratings as the player's base FUT item, just with a different design. During each Swap Deals period, the Swap Deals Player items can be exchanged for Swap Deals Reward items via special Squad Building Challenges. 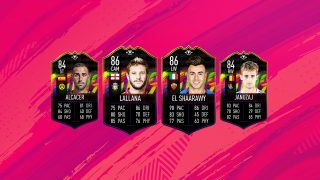 All Swap Deals SBCs are available for the entire period and have progressively more valuable Reward items in exchange for more FUT Swap Player items. With 14 FUT Swap Player items available during FUT Swap Deals in October, you won't be able to get everything — so choose your FUT Swap Deals Rewards wisely!